Never has Miss Lydia Carlton's abilities as a Fairy Doctor been more important. As Lydia, Edgar and his companions Raven and Ermine get closer to finding the Treasure Sword, those people who are working against Edgar step up their efforts to thwart him. They've now followed a legend to the Isle of Manan, to see the mermaids there. It's been told that they guard the Treasure Sword and Star Sapphire, and with Lydia's help Edgar hopes to retrieve it. When they arrive at a manor house near the island, there's reason to be hopeful that the mermaids aren't just legend. The house is practically crawling with brownies. Because no one acknowledges fairies anymore or practices the old traditions, they've become trapped within walls of the house. Lydia leads them out an open window, and the motley crew prepares to meet with the mermaids the next day. But as Edgar gets closer to the prize he seeks, so too does Huxley become more confrontational. Now, though, he targets Lydia and the person she holds most dear. Betrayal comes from within the close-knit group as well, as Ermine has her own ideas of what's best for Edgar. The pace of the storytelling evens out a bit in this volume, and we get both more background and more action at once. We get to know more about the relationship between Edgar, Raven and Ermine, as well as Edgar's sense of noblesse oblige. Unfortunately, the art is very similar to the first volume. At times, I have to resort to eyebrow shape to tell characters apart, which is a shame. In an era with such beautiful clothes for the men as well as the women, there's no excuse but laziness for the lack of detail in character design. 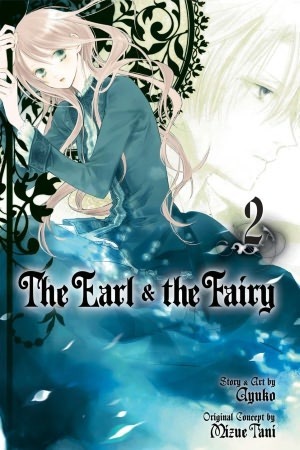 That being said, The Earl and the Fairy Volume 2 is still a significant improvement over the last book. More fairies, more drama and more backstory shows what this series may become, and I have quite a bit of hope for the next volume. Highs: It's nice to see poor, downtrodden Lydia grow a backbone when it comes to her interaction with her realm. Lows: The scenes with the mermaids could have been so beautifully done, and while they're better than the rest, it's still a bit of a letdown. Verdict: A fairly standard shojo series, but continuing to improve.